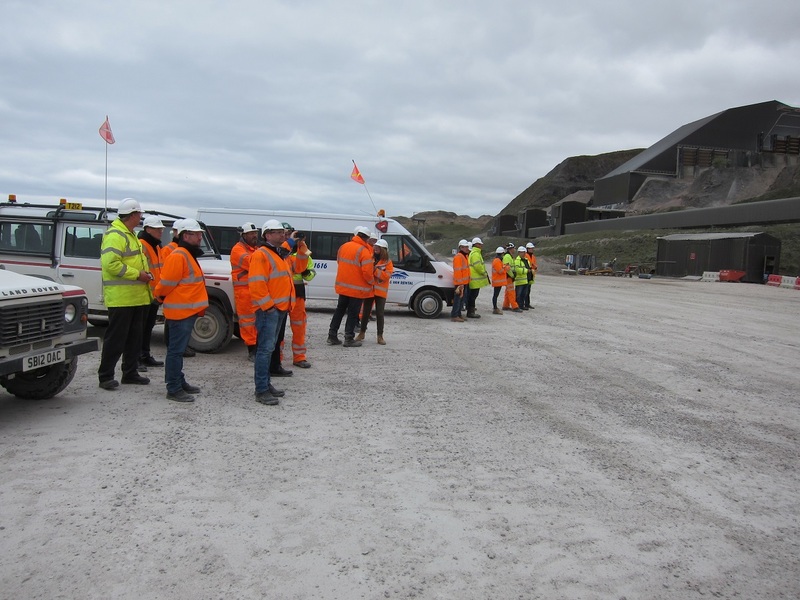 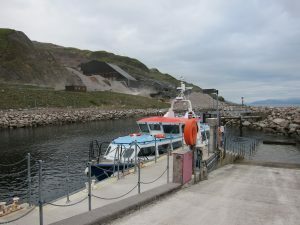 Places for our first site visit in 2017 were in much demand and on 10th May 21 MHEA members arrived at Glensanda Quarry in Oban, Scotland, courtesy of Aggregates Industries. 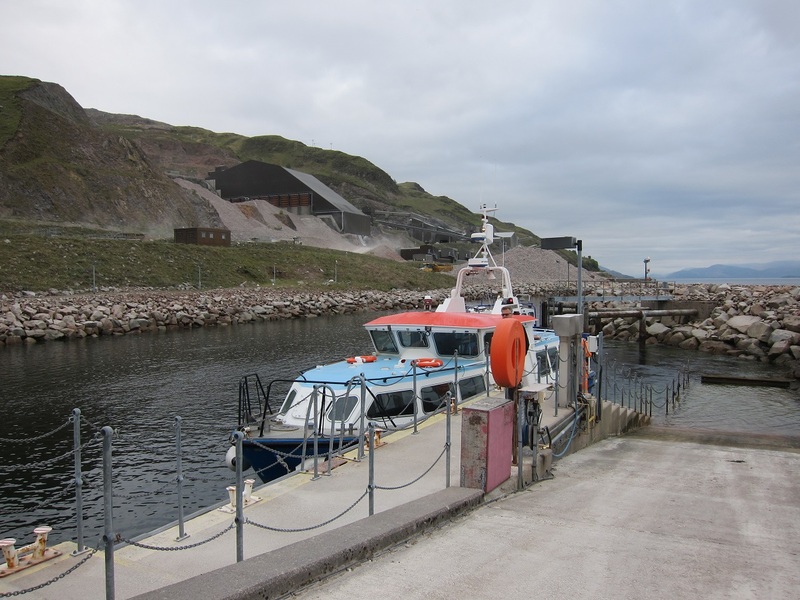 It is the largest granite quarry in Europe, only accessible by boat – everything used at the site has to be transferred by barge as there is no road access. 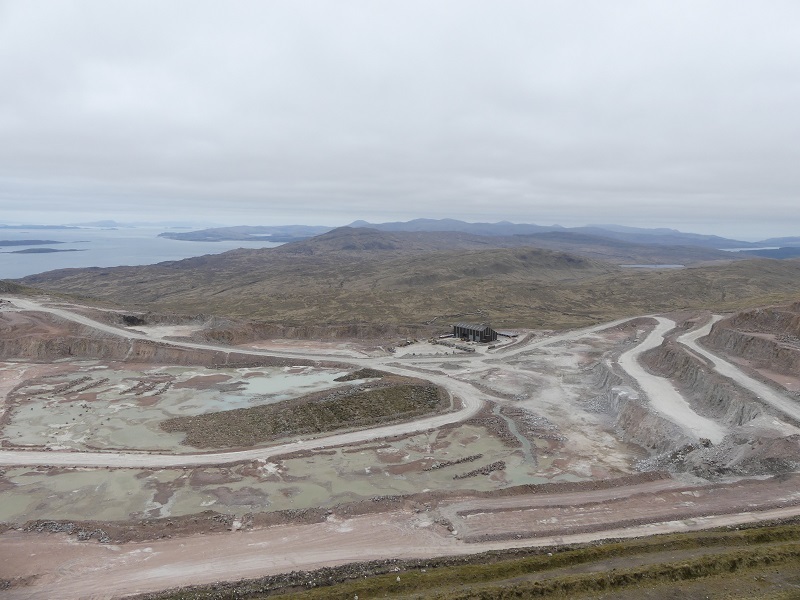 This trip was hosted by David Lamb, Assistant Quarry Operations Manager, Simon Turk, Logistics Director and Ian Henry the Harbourmaster/Ship Agency/Admin Manger. 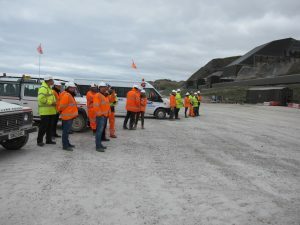 David gave the assembled group a short presentation on the history of the quarry. 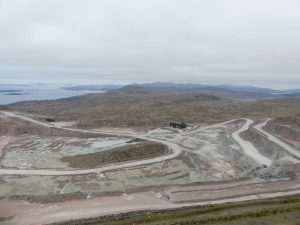 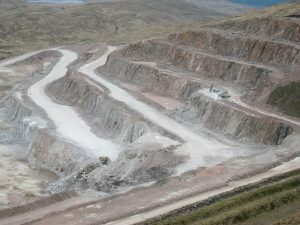 They have removed over 150 million tonnes since the quarry started production in 1986. 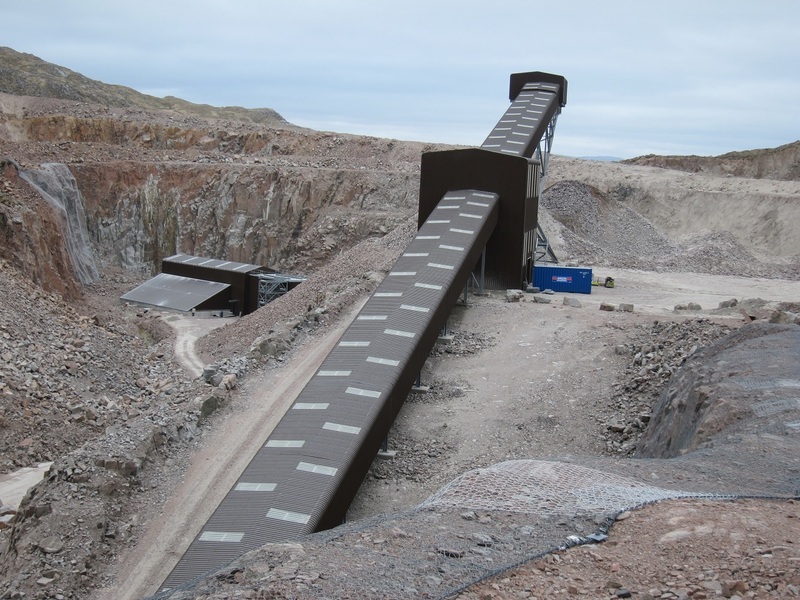 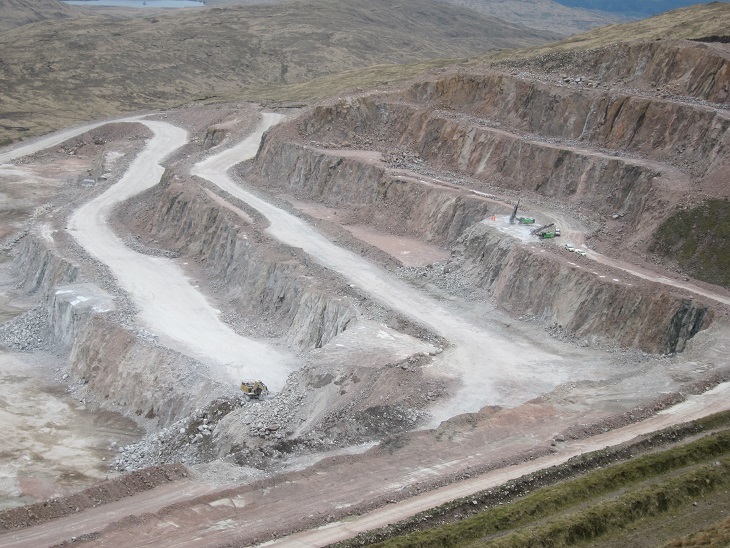 The quarry production rate is between 5 – 7.5 million tonnes per annum and products are dispatched all over the world. 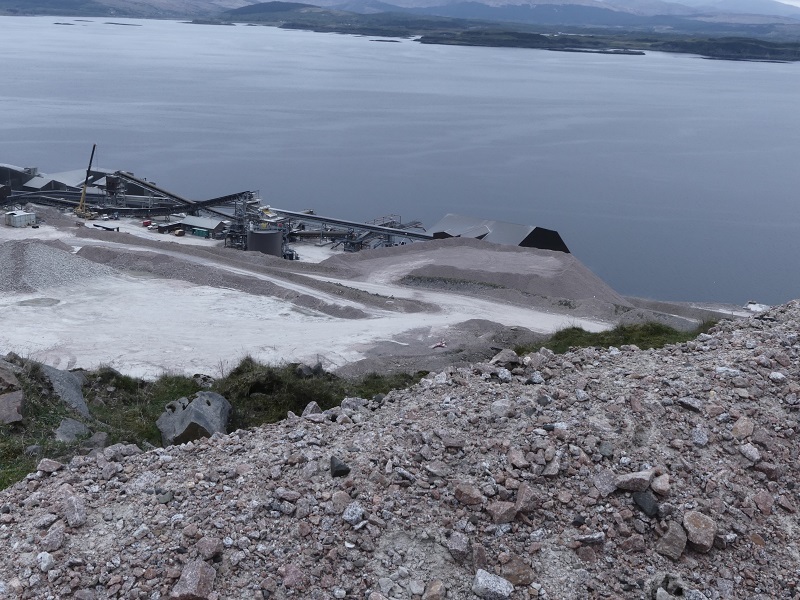 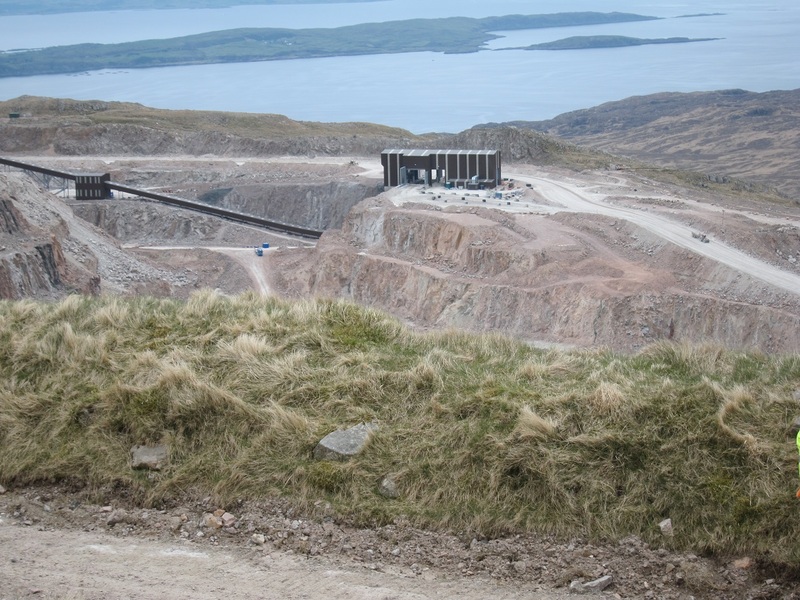 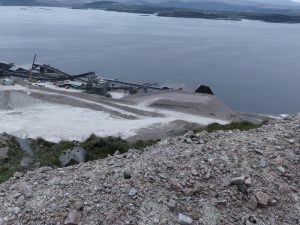 We then visited the top of the quarry which has a fabulous view over Loch Linnhe and were extremely lucky to see a controlled blast of the rock face -70,000 tonnes which lasts for 2 days before they need to blast again. 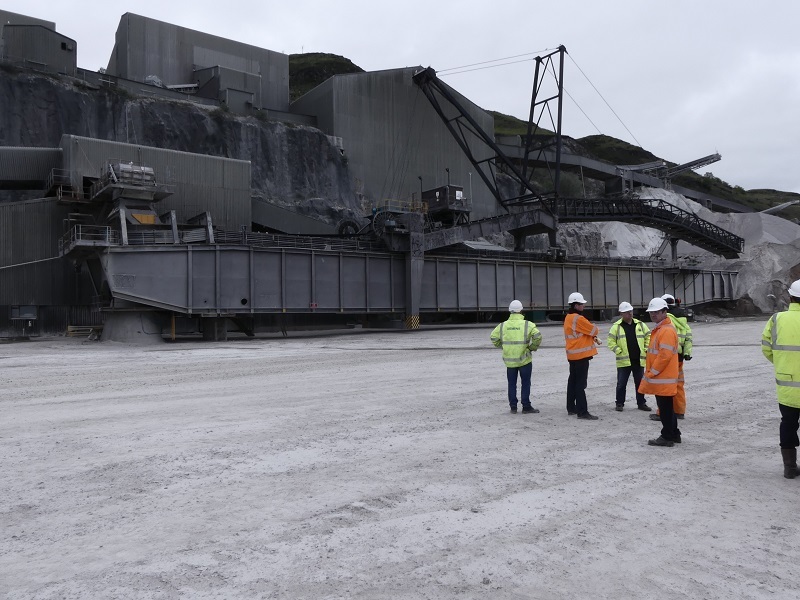 After lunch, the tour continued and we visited the primary crusher, where rock is crushed and drops down the 230m deep glory hole to be transported by conveyor belt to the secondary crushing and screening plant and onwards to the Shiploader system.